The tents are up, the banner is hung over Water Street, vendors are preparing their food and goods...and Rockford City Market kicks off its season tomorrow!! I don&apos;t know about you, but tomorrow afternoon cannot come soon enough. Once 3:00pm hits, people will start flocking downtown to the grounds of Rockford City Market to shop, eat, mingle, and enjoy the beautiful weather outside! It&apos;s amazing how much City Market has grown since it started out in 2010. Did you know that 20,000 people came to the market in 2010, and over 75,000 came to the market in its 4th season last year?? And this year looks to be bigger and better than ever. The grounds are expanding North on Water Street (toward the Jefferson Street bridge), and new vendors have been added to the market. Get ready for some yummy pasta from Joey C&apos;s, fresh popcorn from the Popcorn Parlor, and adorable moccasins for little ones from Ittie Bittie Moccs (just to name a few). One thing I find really incredible about Rockford City Market is how much of a boost it is to local business owners to launch their company. People that started out as vendors at City Market now have successful storefronts (or some in the works). The market really is the best place to try out a new product and see how people respond to it. One of the success stories is Bath and Body Fusion - which is the subject to Rockford City Market&apos;s latest blog post! One of our summer interns, Allie Kelley has been keeping up a blog for City Market to document her experiences at the market and with the vendors. Read the latest blog about Bath and Body Fusion here! I can&apos;t wait to spend my Friday nights downtown at Rockford City Market once again! Hope to see you all down there as well! 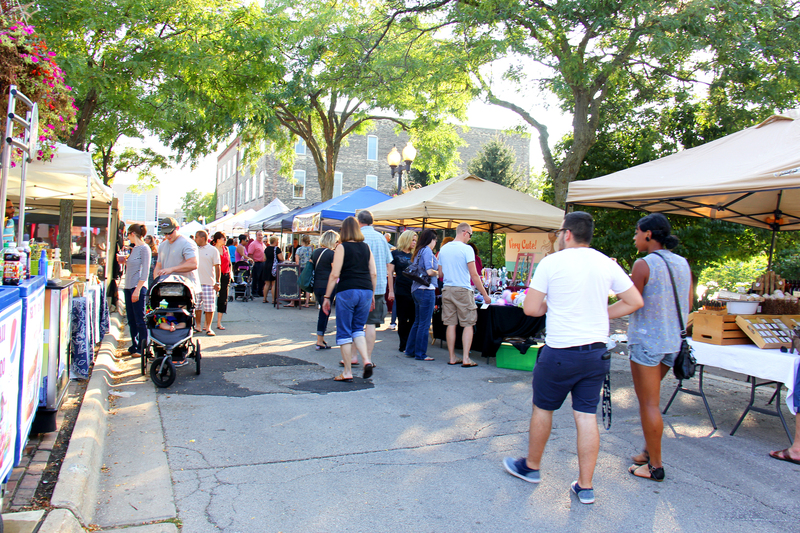 Rockford City Market occurs every Friday night on Water Street in Downtown Rockford from 3-8pm or 3-7pm after Labor Day from May 30 - October 17. Visit www.rockfordcitymarket.com for more information.